Black Friday Bioterrorism: If Tom Clancy's 'The Division' Were Real, How Could It Happen? 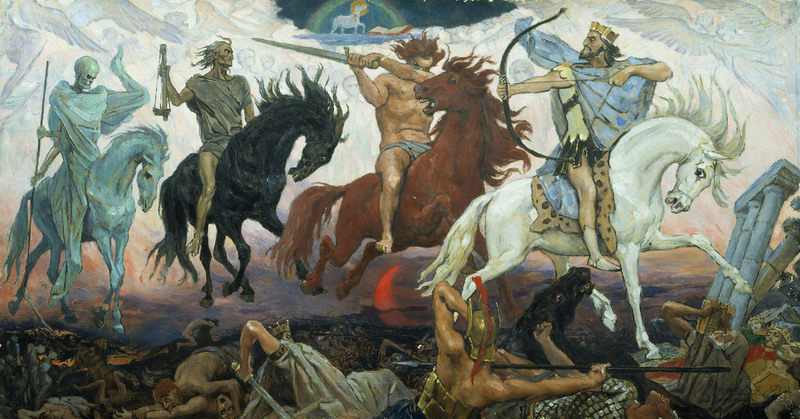 Of the Four Horsemen of the Apocalypse who still ride in this world, pestilence seems to be our greatest slayer. We need to look back only 100 years to the Spanish Flu Pandemic that took an estimated 50 million lives, a number only rivaled by World War II. Pandemics, defined as a global disease outbreak, remains a worst-case concern for our health systems. And in attempting to be prepared they create models and run what-if simulations. There are several variables to consider: how infectious is the agent, the R0; the travel of patient 0, the initial vector; how much immunity we have or can manufacture, e.g., vaccines; and the spread through person to person contact and travel. We can make reasonable estimates for the R0, and worst-case scenarios typically involve no intrinsic immunity with a vaccine perhaps four months downstream to the outbreak. But one of the significant weaknesses of the modeling is describing the social spread, person-to-person and place-to-place contacts. BBC-4 , in conjunction with three mathematicians from the University of Cambridge, sought to improve the quality of the contact information and consequentially improve the pandemic model. To get at that social contact information, the researchers made use of that most ubiquitous device – the smartphone – turning the always-on GPS to a social, rather than corporate, good. They recruited 500 individuals in a small town as well as nearly 29,000 individuals across the United Kingdom to download an app that recorded where they were for varying lengths of time. The individuals self-reported their contacts. The small-town recruits were studied over 72 hours and became “infected” after contact with Patient 0 or someone who had been infected by Patient 0. This data provided a detailed view of spreading disease. The larger UK study began with the user being infected and looked at who they infected, complimenting the smaller study by including larger demographic populations and geographical movements. Patient 0 came to town, walked about and throughout the day infected nine people, who, in turn infected 68 more in the same day. After 72 hours, 86% of the 500 participants were infected. As you might expect, there were a group of “super-spreaders,” people who had lots of social contacts, as in this instance the salesperson at the local hardware store. The epidemiologic results when using the larger dataset were just as distressing. They assumed an average infectability, the R0, for a virus, the same lack of immunity and a fixed mortality rate. Starting in that small town, over the course of four months 43 million people, about two-thirds of the UK’s population, across every corner but the most isolated, were infected. Close to 900,000 people died. Forty-three million infected individuals would overwhelm the National Health Service (NHS). In truth, a similar pandemic in the United States would just as rapidly overwhelm our health services. So, can you slow the spread of the disease in a way that our healthcare capacity is overcome, and perhaps save a few more lives? Well, the simple approach is to drastically limit social contacts, to “shelter in place.” That theoretically will work but at the cost of massive societal disruption. When you bring movement to a halt, you will quickly find that you run out of supplies of food and water, and energy like gasoline. (Ask anyone who has been a victim of a natural disaster.) And a vaccine is at best four months away, so that technology does not provide a ready answer. Is there anything we can do? The answer is yes, and the innovator of this 21st century savior is an old friend, Ignaz Semmelweis, the physician behind washing our hands. If we could get everyone to observe a bit of strict handwashing –and we know from trying to get clinicians to do this in the hospital that is a big if – we can both slow the roll of the pandemic and its consequences. Take a look at the graphic. Infections and subsequent deaths were cut by a third, a big number for such a simple remedy. The app is still in use gathering data in the U.K. The dataset is expected to be completed early this year and made available to researchers. Among the early findings, travel and contacts vary by age and location with city dwellers traveling less, but urban density creating more connections. And interestingly, it is the older members of the population that make the longer geographic jumps and may be responsible for transporting a problem from New York to Detroit. We might consider a similar project here in the U.S. After all, our social contacts and travel vary by more than age and location, culture and the economics of transport play a role, too. We need to give our proper respect to BBC-4, a media outlet, which harnessed its particular skill set to make smartphone tracking a social good rather than ill, while demonstrating how we can work together to advance our understanding and solve an existential problem. Good for them, good for us. Few of you may read the cited paper, since it is pretty “mathy.” But you can all enjoy the very well done, informative video. BBC-4 is one of the BBC channels and it might be considered a knowledge and art channel. I was first introduced to this work through one of their podcasts, In Our Time, which “explores the history of ideas.” It is wonderful, and I highly recommend it. I suspect privacy concerns kept them from instituting smartphone collection of contact information, a technology already built into the little buggers. It is done through point to point WiFi, the underlying technology of AirDrop on Apple phones.